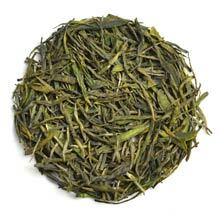 Xin Yang Mao Jian is one of China’s Ten Famous tea and is treasured for its refreshing taste and pleasant aroma. The finest and most tender Xin Yang Mao Jian tea leaves are picked from tea trees growing in the high mountain area of Xin Yang. This harvest area is interestingly known as the "5 Mountains and 2 Pools". This tea is certified organic by Hang Zhou’s China Agriculture Quality Department. The sweet floral notes which persist well into the finish. Very refreshing aftertaste. Silver-tipped tea leaves that yield a light yellow liquor. When infused, the tea leaves quickly sink to the bottom of the cup.